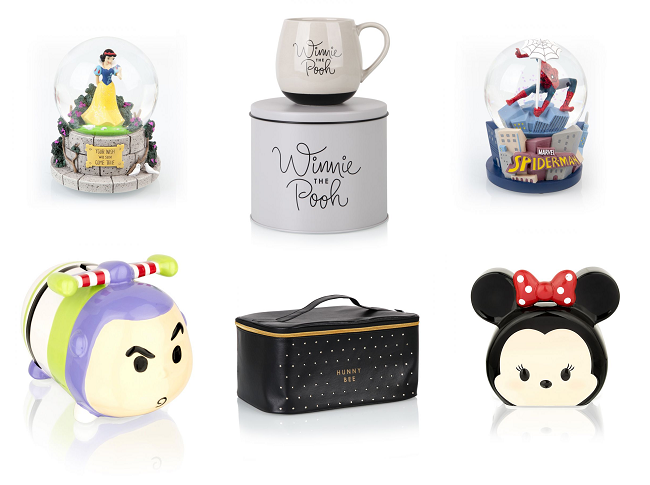 Grab some Disney bargains starting from just 75p! If you are a fan of all things Disney then this latest sale at Clintons is going to be right up your street! There's up to 50% off tons of Disney goodies so stock up while you can! I absolutely adore the Disney Snow globes that Clintons have on offer. This Disney's Snow White Musical Waterdome* is gorgeous. It's down to just £12.50 from £25. There are other globes on offer including Rapunzel and Spider-Man. I have my eye on this Winnie The Pooh Hunny Bee Vanity Bag* to store my make up in. It is so cute! It is a leather effect beauty bag with little studded detailing on the front. On the zip there is a Winnie The Pooh zipper. It can be yours for only £10 down from £20. There's an adorable range of Disney Tsum Tsum Money Boxes, how cute is this Buzz Lightyear Money Box*!? It's now £7.50 from £15. It would make a wonderful gift for a little Toy Story fan or even a collector of Tsum Tsums. Home delivery is from £3.49.